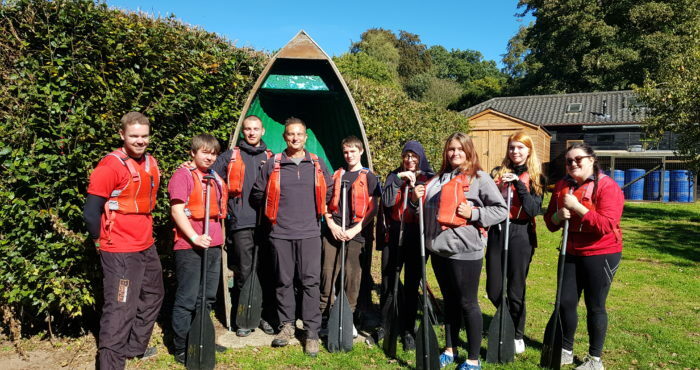 Our Prince’s Trust Team programme in Stowmarket set off on their outward-bound activity residential trip last week. 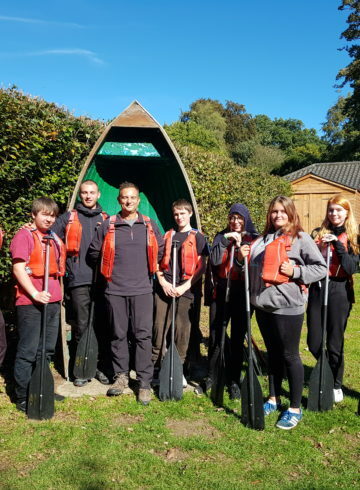 Throughout their week the young people took part in lots of different team building activities, ranging from low ropes to canoeing to crate stacking. This was definitely a highlight for our Inspire 30 Club member Andy Perrin from Hemisphere Freight who visited the young people on our Stowmarket Team programme on their residential. 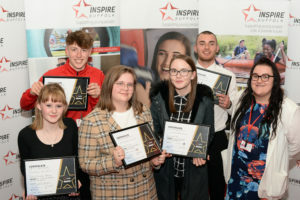 The Inspire 30 Business Club is a group of thirty supporters of Inspire Suffolk who support our charity by donating £2,500 per year, initially for two years. Each supporter will specifically fund one of our 18 life-changing residential programmes as part of our development courses for young people 16-25 years old. These residential trips away from home are not funded but they make such a big impact to our young people. The residential aspect of our Team programmes is such a good way to get our supporters hands-on involved in the team spirit and team building activities. Members include Hemisphere Freight, Vertas, University of Suffolk and John Howard. It is an important part of the course as it helps the young people to form as a team unit creating good foundations for the rest of the programme. 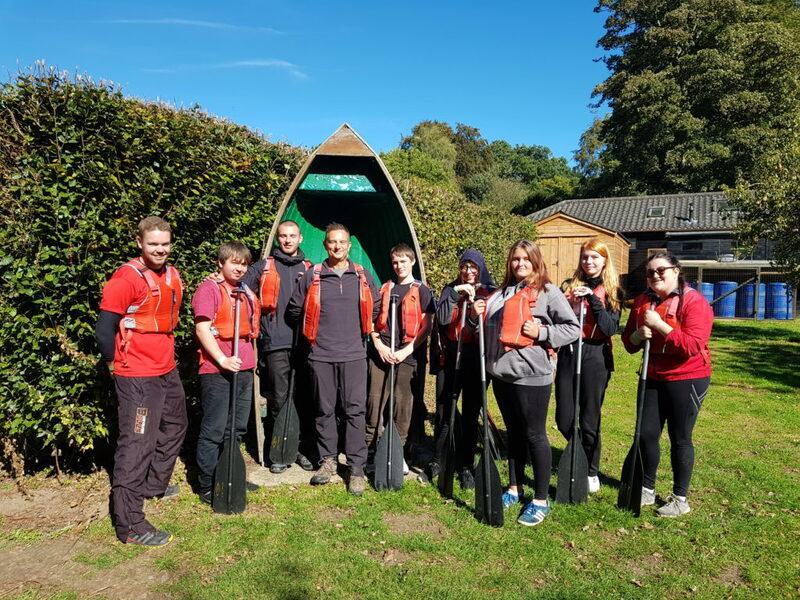 The aim of the residential aspect of the course is to help our young people to overcome challenges facing their fears, building confidence and breaking them away from their current situation and encourages team work, leadership and communication. 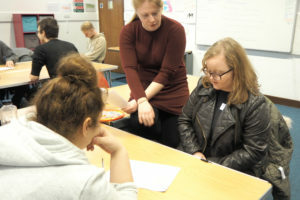 Now the group are back from their residential they are prepping for their community project. They have lots planned including a sponsored walk and much more! 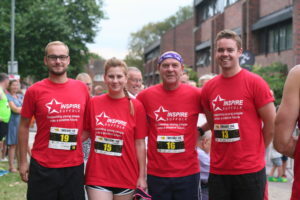 Want to find out more about our Inspire 30 Club and how you can get involved? Get in touch with our Fundraising & Events Officer, Sara Warburton on [email protected] or call 01473 353 194.